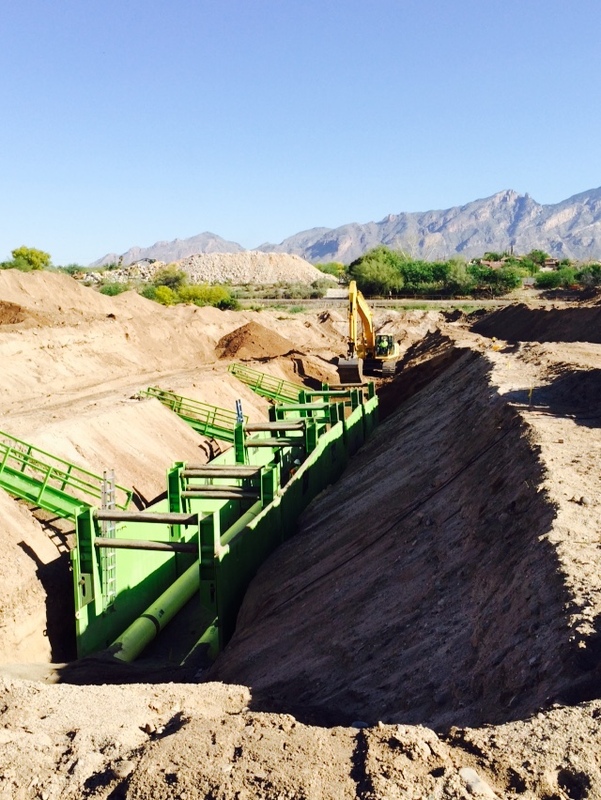 This project consisted of 1,292 LF of double barrel 24” steel siphon crossing the Rillito River north of Paradise Falls Drive and Columbus Boulevard. The scope also included two new siphon structures, 1,170 LF of 30” Hobas Pipe connecting both ends of the siphon, two biofilter systems to mitigate odor control, grading and landscape to accommodate Native Frog Habitat, and construction of associated manholes. CIPP lining of the 24” steel siphon was also included in the scope. This project required significant public outreach with area residents as well as users of the Rillito River Bicycle and Pedestrian “The Loop” path.